Bootstrap is a fast-growing frontend library and might be the most popular library of choice for web developers. There’s a gold rush for Bootstrap 4 and with this impending release more developers are diving into this free dev library. But there’s much more to Bootstrap than just the fundamentals. 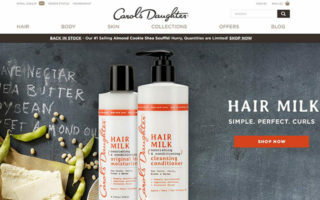 It can be used in SPAs and even basic web projects to save time with grids and typography. 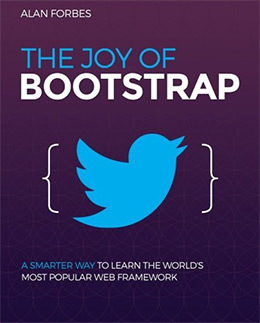 In this post I’ll share the absolute best books for learning Twitter Bootstrap from scratch. Most of these books are made for beginners but a few gems target more advanced developers. With so many awesome books for beginners I have a real hard time picking just one. But if I had to it’d be Step By Step Bootstrap 3. The code samples are exquisite, it’s long but not too long, and the information is more relevant now than ever before. In the future when v4 is released I may change my mind. 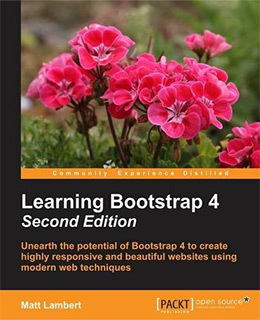 But for now this is my vote for the best book for a novice looking to learn Bootstrap. I hold the “Sam’s Teach Yourself” series in high regard because most of their titles are excellent at teaching confusing topics. And this book is just another example. 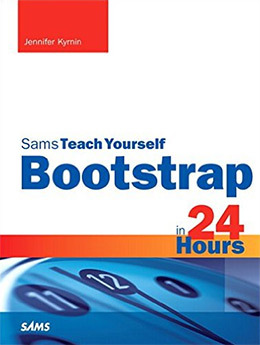 Sams Teach Yourself Bootstrap in 24 Hours spans 432 pages and covers absolutely everything you need to know about Bootstrap. Despite the name I honestly don’t think anyone could complete the book in a single day. 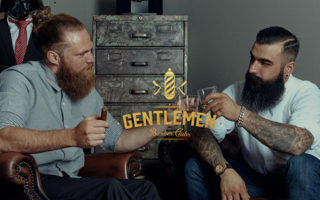 But cumulatively it could be possible to work your way through this in a 24 hour period, and you’d walk away with intimate knowledge of the Bootstrap framework. In the very early chapters you’ll be guided through the absolute basics. How to download and setup Bootstrap, creating grids, and adding the different components. In the later chapters you’ll build full applications and you’ll be quizzed after each chapter. This forces you to think about what you’ve learned and prove to yourself that you understand Bootstrap. Even if you already have some knowledge of Bootstrap you can learn a lot from the later chapters in this book. 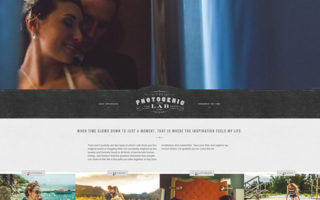 It forces best practices and makes you think about how to develop a site from scratch. With the newest version of Bootstrap(before v4) there’s a lot to learn and a lot to practice. 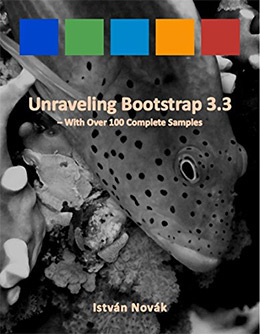 Thankfully this book is super affordable and covers over 300 pages of Bootstrap 3 info. Unraveling Bootstrap 3.3 starts with a tour of Bootstrap and all the features you have a your disposal. It then quickly throws you into layout development with grids and custom styles. This is a much easier book for beginners and it’s one of the most up-to-date books you can find. It’s a bit too easy for devs with some experience, but a complete novice could pick up this book and learn all the fundamentals without hassle. The best thing about this book is that it’s short and sweet. At only 140 pages you can easily devour this book in a day or two. But the topic is still quite detailed and you’ll walk away with real-world practical knowledge of Bootstrap by example. I think Jump Start Bootstrap is the best guide to learn the real fundamentals of this library. You’ll learn why it’s so useful and how it can save you time on your project work. The author teaches you by real examples that force you to actually write code. You should have prior knowledge of HTML/CSS but otherwise you’re good to go. If you need to get moving with Bootstrap fast then Jump Start Bootstrap is a fine choice. There’s a lot to say about Bootstrap By Example and I actually did say a lot in my recent review of this book. Content is fantastic and you’ll learn absolutely everything about Bootstrap. Live project examples teach you how to implement more complicated JS components, and the author even delves into Bootstrap 4 covering a few of those components too. 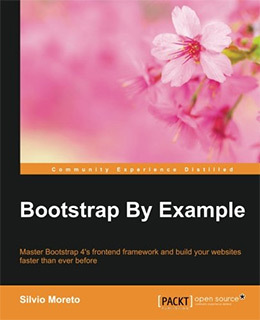 This book will get you up to speed with Bootstrap and even push you a little further. Everything starts with a basic grid guide but it moves fast into the detailed underbelly of Bootstrap components. 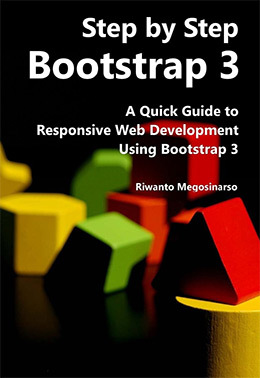 This book written by Riwanto Megosinarso teaches you how to code Bootstrap in a way that emphasizes responsive techniques. 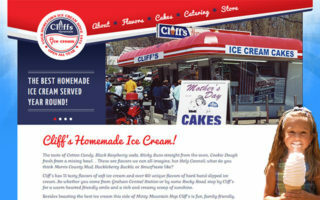 The web is quickly moving towards a mobile friendly environment. In fact I’d say we’re already there. 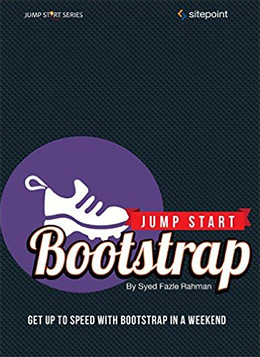 Step By Step Bootstrap 3 covers 230 pages that really push you towards the proper way to write Bootstrap code. It is certainly a quick guided intro but it’s not a complete comprehensive overview. There are some omitted features and components that don’t get covered, and others that only get touched upon briefly. However if you’re completely new to Bootstrap and responsive development then this guide will take you where you need to go. By the end you’ll feel comfortable writing Bootstrap code and you’ll have enough knowledge to teach yourself even more on your own. Finally we get to a more advanced title that’s really made for skilled web developers. 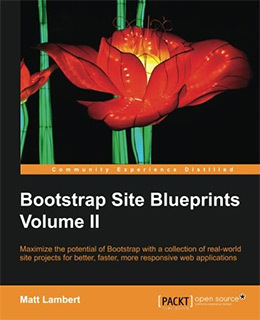 Bootstrap Site Blueprints Vol II explains how Bootstrap works in conjunction with other web libraries and techniques. Each chapter covers a detailed example hitting the ground running. 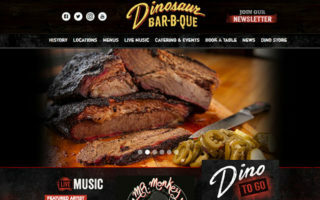 You’ll learn how to build a custom restaurant website, a mobile-first Bootstrap layout, a custom blog/magazine layout, and many other similar projects. This blueprints book teaches you a development workflow more than anything. Once you already understand Bootstrap the easy part is over. Now you’ll want to incorporate Bootstrap into your workflow with Node/NPM, Less/Sass, Gulp/Grunt, and other similar tools. For truly nailing down a professional Bootstrap workflow I would only recommend this book. It’s tough learning Bootstrap without getting into the official documentation. The Joy of Bootstrap saves you the time and frustration by telling you what you need to know it a concise yet accurate manner. You work through a number of projects that help you understand the details of Bootstrap in the real world. All of the code samples and previews can be seen on the official book website(which is also built on Bootstrap). The book is only about 120 pages long so you can work through it quickly. It will take you from a complete novice to someone with competence in all the major pieces of the framework. Some developers just want a quick and dirty intro to a framework. With more complicated subjects this just isn’t possible. But Bootstrap is not one of those subjects. I applaud the author Alan Forbes for his impeccable writing style, clear tutorials, and very simple procedural process of learning the Bootstrap library from scratch. I’ve been amazed with all the new features and updates in the v4 alpha release. Bootstrap is perhaps the most popular frontend library for web developers, and this new version will radically change how we build websites. Learning Bootstrap 4 covers all the newest features in this library and helps you understand each one. You’ll also learn how to extend the Bootstrap library using 3rd party plugins and BS4 extensions. This book is not for beginners and it’s also not a complete introduction to the Bootstrap library. You should already be familiar with BS3 before purchasing this title, and you should be willing to experiment a bit with the newest BS4 framework. Unfortunately BS4 is still in the testing phase so it’s not ready for deployment. 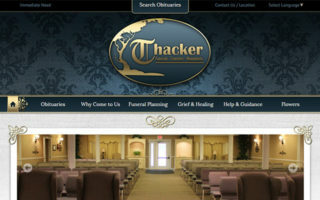 This means you really shouldn’t use it on a production website. But developers always want to learn for the sake of learning and this book is the perfect way to dive in head-first. Developers are ancy to jump on Bootstrap v4 even though Twitter has not put a solid publication date on the release. The above title Learning Bootstrap 4 is my recommendation for Bootstrap devs who want to make the switch. And if you’re willing to go that far I would also recommend Mastering Bootstrap 4 which pushes Bootstrap 4 into a fully-fledged workflow. You’ll learn how to integrate Bootstrap with React/Angular and how to optimize your code for launching online. 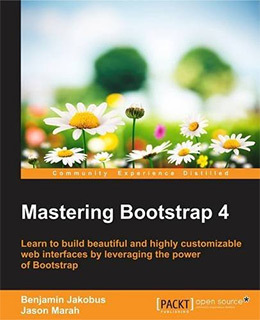 Mastering Bootstrap 4 teaches you through live examples and expects you to already have a solid understanding of the BS3 library. This book will put you way ahead of the game whenever Twitter publishes the first v4.0 public release. This book is not a necessity and some developers may prefer to wait until the official release to grab a book like this. But I still can’t leave it out of the list because it’s one of the only books teaching BS4 in a production-ready workflow. I’ll wrap up this post with a very advanced book combining two of my favorite frontend frameworks: Bootstrap and AngularJS. 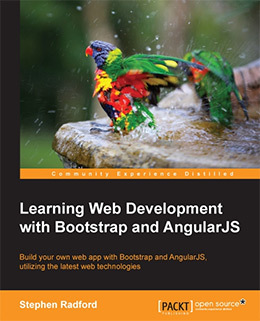 Learning Web Development with Bootstrap and Angular covers 323 pages of in-depth tutorials and exercises marrying these two open source libraries. The author Stephen Radford has a way of explaining each process step-by-step so you’ll never feel lost. You’ll also use Less for preprocessing and Gulp+Grunt for task running(testing out both tools). The book starts off rather easy teaching you how to install Bootstrap, then installing Angular, and creating a project workspace. From there it ramps up quick. You’ll build a custom layout from scratch with 3rd party tools, but the book doesn’t expect you to master either framework. You can enter with some knowledge of both and walk away very competent with the Angular+Bootstrap workflow. Thankfully Bootstrap is one of the easier libraries to get started with. But since there’s so much information to digest it can be tough working from online tutorials. I think absolute novices will learn the most from Step by Step Bootstrap 3 or even Bootstrap in 24 Hours if you need a quick dive into the pool. Truthfully all of the intro books in this list are great. Some are longer than others, some are cheaper than others, and some are easier to read than others. Check out the reviews of some and decide which would help you understand Bootstrap in the way you learn best. Those who want to jump the gun into BS4 should check out Learning Bootstrap 4 along with Mastering Bootstrap 4. Both of these cover the newest Bootstrap features along with common workflows for adding related tools into your development process. Whether you’re brand new, somewhat experienced, or a Bootstrap expert, there’s always more to learn. And with the Bootstrap 4 release on the horizon I’m excited to see what the future holds for this frontend framework and the web dev community.